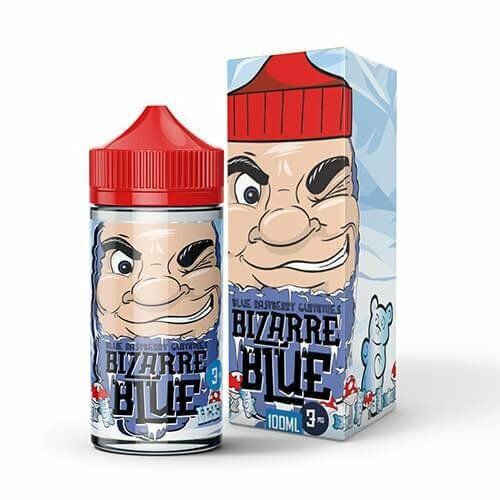 A deliciously cool blue raspberry gummy with hints of menthol. Made with nicotine salts instead of freebase nicotine. Nicotine salts are less harsh than traditional freebase nicotine. Salts absorb more quickly into the blood stream and stay there longer too. Never use damaged batteries. Never leave charging batteries unattended. Never carry loose batteries in your pocket/purse/bag. Never discharge batteries below 2.5V. Never charge batteries over 4.2V. Always use a battery case. Loose change, keys, or anything metal can complete the circuit and cause batteries to EXPLODE which may result in serious injury or death. Reasons why a battery should be replaced include, but are not limited to: 1) the wrapping is torn, 2) the battery is dented, 3) the insulator is missing, 4) the battery is leaking, 5) the battery is older than 6 months.